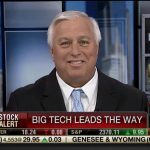 This week we saw NASDAQ tech titans firing on all cylinders as their stocks saw record highs. Amazon, Google, and even Facebook took part in the record setting event. However, the GDP report shows weak growth in Q1 at 0.7% annualized rate of growth. 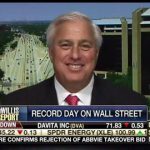 Ed Butowsky, top wealth manager in Dallas, managing partner of Chapwood Investment Management, and Fox Business Financial Advisor, joins Varney & Co to analyze these tech titans and discuss the GDP report showing weak Q1 growth.